The Anniversary Backcare Pocket Sprung Mattress serves as one of the superior choices for those seeking orthopaedic assistance, whether it’s for back care or joint support. Rated as an incredibly firm mattress, the Anniversary Backcare Pocket Sprung Mattress is delightfully accommodating whilst still being rather cosy. 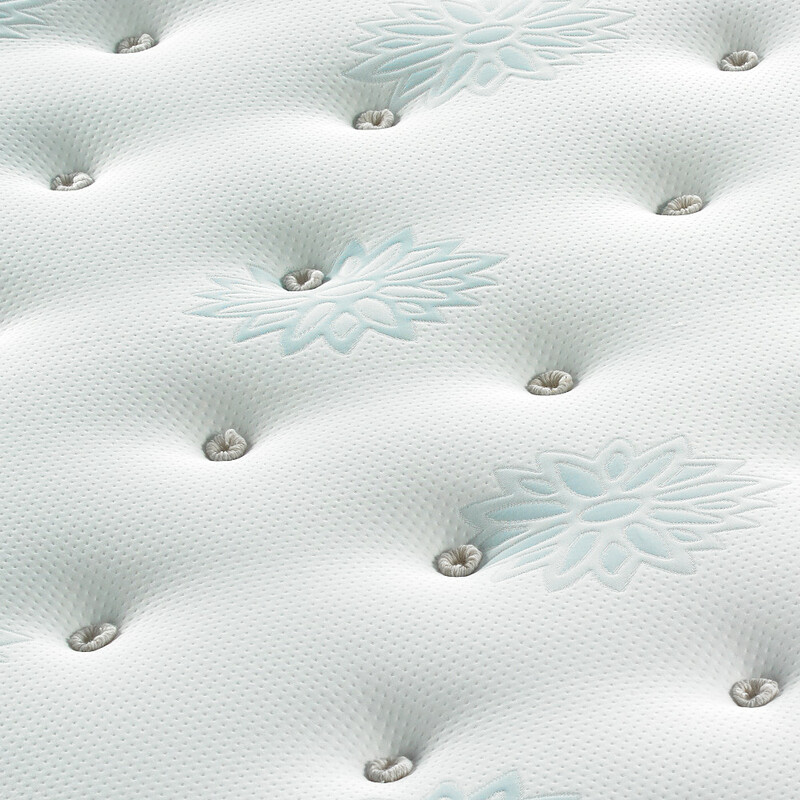 Filled with a wealth of durable polyester as well as an abundance of natural wool, rich satin pads and luxurious dual pads, the interior of the Anniversary Backcare Pocket Sprung Mattress is tightly compressed so that each filling works in tandem with the pocket springs. These individually nested and innovatively designed miniature springs are what aid the reliability of the Anniversary Backcare Pocket Sprung Mattress, essentially granting sleepers their own, undisturbed sleeping spaces that isolate restless movements throughout the night. As well as being durable thanks to being a hand-tufted mattress, the Anniversary Backcare Pocket Sprung Mattress is enriched with an incredibly soft and comfortable damask fabric. 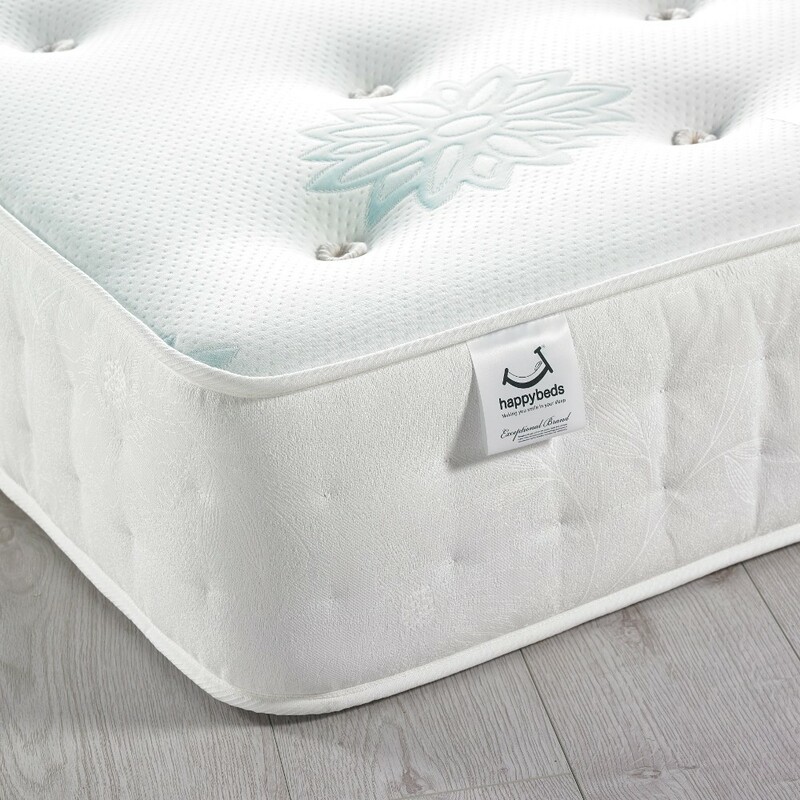 The Anniversary Backcare Pocket Sprung Mattress is made all the more fantastic by the use of air vents, the likes of which improve its breathability and thus help keep it fresh and fantastic for longer. 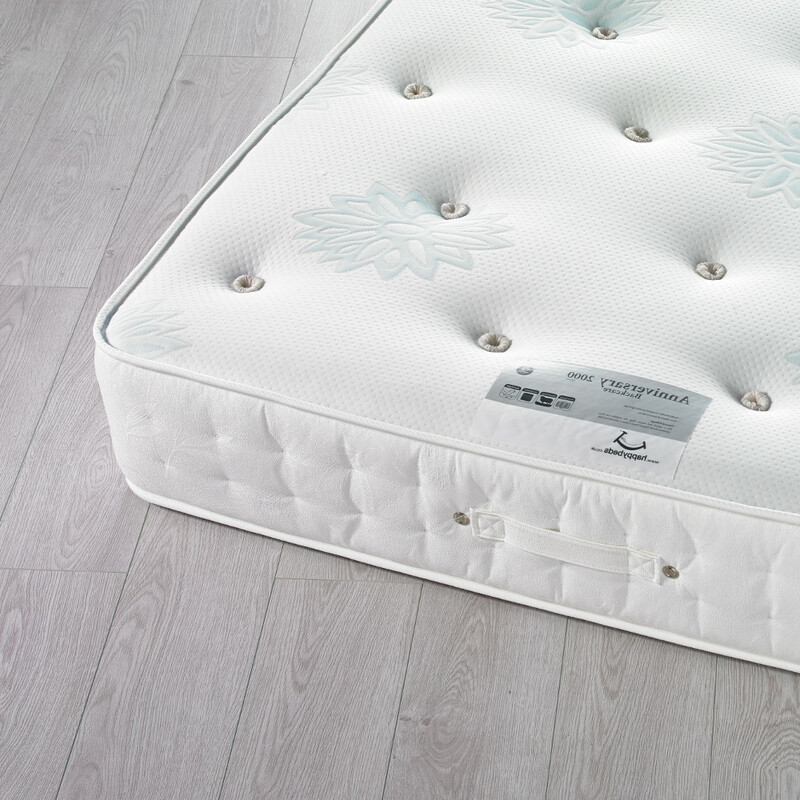 Designed and made by hand in the UK, the Anniversary Backcare Pocket Sprung Mattress is made to an exceptionally high level of quality. Only needing to be flipped and rotated once every six weeks, the Anniversary Backcare Pocket Sprung Mattress is easy to move and transport thanks to the various hand-stitched handles. Hi, we've just bought an Anniversary 2000 king size mattress and I see that it doesn't need to be flipped just rotated every 6 weeks.. Both sides of the mattress look the same so which way up is it meant to lie please - label facing up or down? The Anniversary 2000 Backcare is meant to be slept on sticker side up. Do you recycle old mattresses and what is the cost if so please? We do offer the service to remove your old mattress but it depends on various factors such as postcode and the mattress needed to be removed. For further information as to whether this is an option, please call customer services on 0333 444 0180. Is this turnable? is it made to the same specification on both sides, or just one side? thus making it just made for rotating? 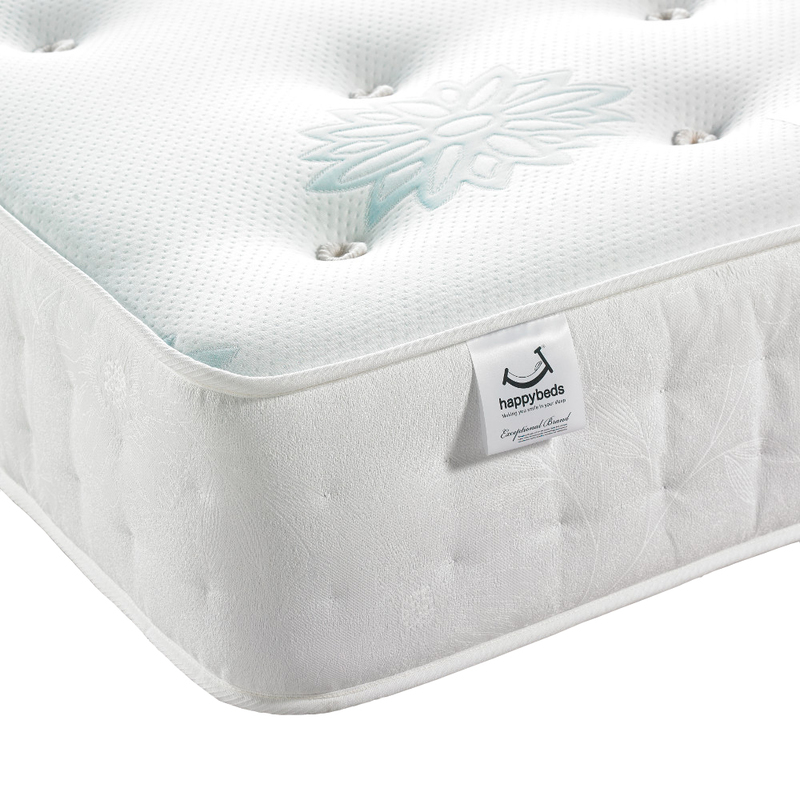 The Anniversary Backcare 2000 mattress is not made to be flippable, as in it can be turned so the foot end is at the head end but not so that the top side can be the bottom side.